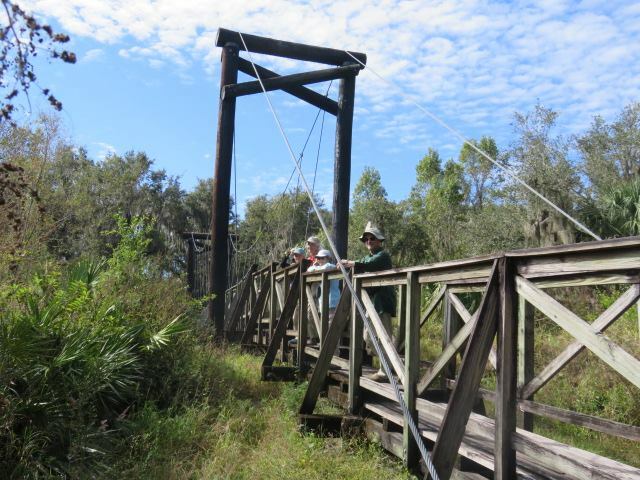 On Saturday, November 12th, ten birders traveled to Paynes Creek Historic State Park on a beautiful fall day that was cool enough in the morning to make light jackets welcome, a delightful change after the heat of the past summer. The park rangers welcome birding groups and hope our members return for further birding adventures. We explored a variety of habitats and were rewarded with some special sightings In the snags among the pines and bordering the scrub habitat, we saw Red-headed Woodpeckers. In the wooded river bottom habitat we saw some Ruby-crowned Kinglets, a first for some of the participants. 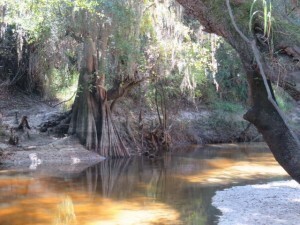 The trail that follows Paynes Creek to where it flows into the Peace River had a profusion of small birds in feeding guilds, Tufted Titmice, Blue-gray Gnatcatchers, Carolina Wrens, and a variety of Warblers. We saw Black and White Warblers, a Yellow-throated Warbler, Palm Warblers, and a flock of Yellow-rumped Warblers. In the open scrub we observed Kestrels. All together we saw 25 species of birds. Some of the participants had been at Paynes Creek last May 26, when the rangers were doing a prescribed burn of the scrub habitat behind the visitor center. Six months later that same habitat is lush with green growth showing the regenerative power of nature and the value of fire to many of our Florida habitats. The park is in Bowling Green just over 50 miles from the PRAS North Car Pool location. It is a place worth visiting for the birding, the trails, and for information about Florida’s history. 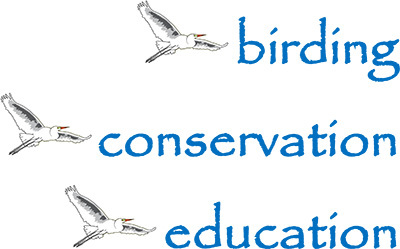 Our next “field trip” is the Annual Christmas Bird Count. To sign up to help, email Tony Licata at alicata@dcwis.com. Trip report by Shannon McGinnis.